OK, I know I am supposed to exercise. Everyone asserts that it will help my anti-aging activities. On top of that, the experts say it is just good for me and my body. Sure, I have all heard it before. I think I have a lazy fitness attitude. Well, I have solved the problem. Now I am an armchair athlete. I really love my recliner. It is so comfortable. When we went to buy one for my better half, I just had to have one too. First, we tried the lesser expensive ones. However, we kept moving up to the next better one to the next better one. I kept rationalizing that it was only another few hundred dollars. Then we got to the most expensive model and I could not go back. Now we have two of the same recliners in front of the TV. Almost like Archie. I like to snuggle under a blanket and lean way back. My legs rest on the footrest and I am so comfortable. Too comfortable. I can easily close my eyes and be asleep at a moment’s notice. In the evenings I like to watch TV. OK, it is the evening news. My sister hates politics. She says it makes her depressed but I love it. Politics makes me laugh and cry, when I am awake that is. A few days ago I started raising my legs one at a time when the news is on. The next mornings my legs were sore so I know I am getting a workout. I used to go to the gym but our membership lapsed and it is too cold to get up and go. I solved the problem and now I exercise as I am laying in my chair. So far the ramifications are good. I am getting a workout and not falling asleep at the same time. I raise one leg at a time high into the air. When I get tired of doing that I switch it up and pull one leg at a time to my chest. Last night I got even more creative. I raised my arms one at a time along with the opposite leg. This lasted almost a whole hour. Why did not anyone tell me about this easy way to exercise before? I read that if you can do your exercises while laying in bed it proves that you can exercise. If you are having difficulty exercising when you are standing up, it is not because you can not do the exercise but it is because you have no strength. I believe that! 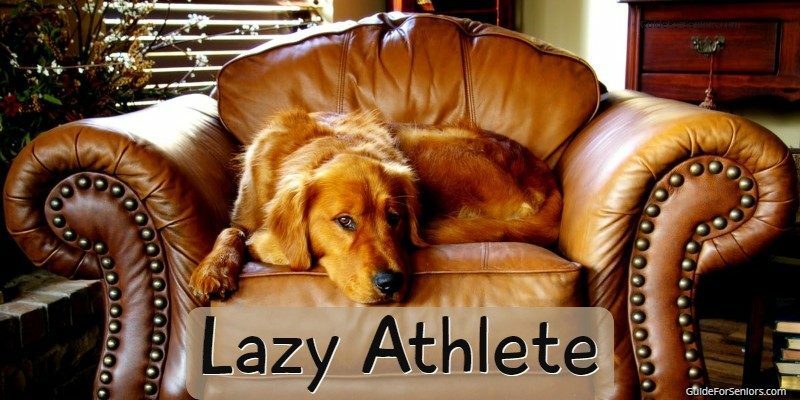 I am hoping that by continuing to be an armchair athlete I will get stronger and be more fit. Now at least I can dry my hair without my arms getting so heavy. Read more about seniors and fitness and anti-aging at Guide For Seniors.